Zakia Henderson-Brown – Oh, Bernice! 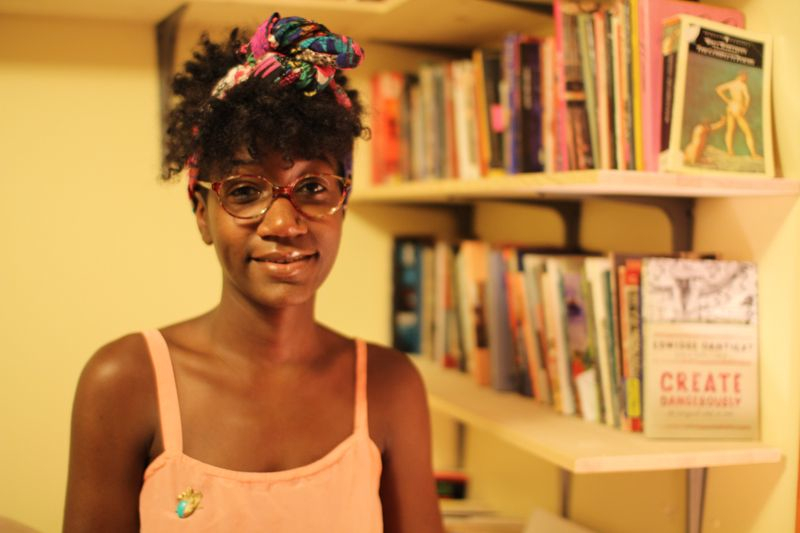 Zakia Henderson-Brown has received fellowships and scholarships from the Fine Arts Work Center, Callaloo Journal, and Cave Canem. Her poems have appeared in Beloit Poetry Journal, Burner Magazine, Mobius:The Journal of Social Change, Reverie, Thethepoetry.com, Torch, Vinyl, and the anthology Why I Am Not a Painter (Argos: 2011). She was nominated for a Pushcart Prize in 2013 by Beloit Poetry Journal and has completed residencies at the Vermont Studio Center and the Louis Armstrong House Museum. Zakia earned an MFA in Poetry and Literary Translation from Queens College in 2013. She is a Brooklyn native and loyalist. This entry was posted in Uncategorized and tagged Beloit Poetry Journal, brooklyn, Burner Magazine, Louis Armstrong House Museum, Mobius:The Journal of Social Change, Queens, Reverie, Thethepoetry.com, Torch, Vinyl, Why I Am Not a Painter, Zakia Henderson-Brown. Bookmark the permalink.